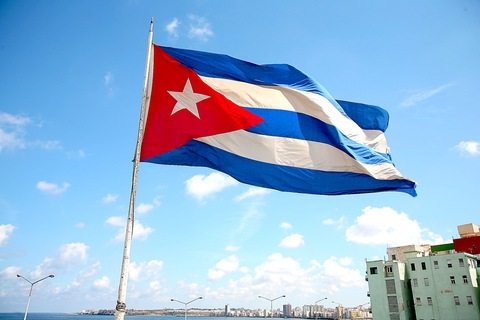 Ray Suarez’s three-part Cuba series begins Monday night on the NewsHour. When I returned from Cuba recently, I was struck by the intense level of curiosity about the place, and the air of mystery the United States trade embargo and travel ban have created around a place 90 miles from the U.S. mainland. Among the most frequently asked questions had to do with the economic conditions almost two decades since the collapse of the Soviet Union, which had provided major subsidies to the Cuban government. Questions about the Cuban economy and the effect on every day Cubans are not easy to answer because any calibration to economic conditions in the United States simply doesn’t work. Period. Detractors of Cuban economic management point out correctly that many people who work for the government, about 8 of every 10 workers, earn about 20 dollars a month in Cuban pesos, one of the two currencies in circulation. And that’s true, technically. But it’s also true that prices for staple foods are subsidized and kept low. On the other hand, many items are disappearing from the ration cards, heading toward a market-based pricing system, because the government can’t afford to keep up the subsidies. The pay is low, but the government has made itself the aggregator of wealth, which it then attempts to dole out in a fair and rational way. Though the prices are low, corresponding with pay, the two are no longer in sync, creating a Cuba where inequalities have set in. That may be the rub: not that Cubans are poor as much as we are witnessing the creation of a multi-tiered society, and that’s anathema to many Cubans and to the Communist Party. Families with relatives in the developed world have access to hard currency, and therefore the ability to buy a much wider range of goods and services. Cubans who work in the tourist industry or come into regular contact with foreigners also get hard currency in payments and tips. That currency can open doors to material comfort unavailable to most of their fellow countrymen. One sociologist mentioned to me the danger of a re-stratification along racial lines. Before Fidel Castro rode into Havana to seize control of the government, blacks lived far worse lives here, and had much less opportunity. Cuban exiles in the years after the Revolution came from the country’s middle, upper middle, and wealthy classes, many of whom were white. Exiles in the U.S. in the post-Revolutionary years reflected this trend. With the years of struggle far behind them, many of the Cubans who rushed to the U.S. did very well, and contributed enough to their families back on the island to make remittances one of the top sources of national income. The beneficiaries of that exile largesse are disproportionately white. The published unemployment rate is low. But people with inside knowledge of ministries say featherbedding is rampant because access to public jobs is a lifeline for so many families, and because there are so few alternatives. The old Soviet-era joke, “We pretend to work, and they pretend to pay us,” still has some life today in Cuba. When the announcement came that the government was preparing to lay off 500,000 workers in the coming year, some analysts predicted the public might see very little difference. Thousands of Cuban workers, it is said, use their government job as a base for making and getting phone calls, for lifting office supplies, and managing the hustle they’re working on the outside, the jobs they do to support their families and make ends meet. The ongoing conversations inside Cuban society about economic change are carried out, for the most part, inside an oddly constrained set of boundaries. People hope for new private enterprises, but don’t imagine they’ll be allowed to get very big. If private initiatives get very big, with stratification and bosses and lower level workers answering not to the government, but to an owner, the architects of the current Cuban system get very nervous. The Cuban people, now more than a half century into life with built-in cradle to grave guarantees, might initially have a lot to fear from any rapid reform to the economy. Yes, reform might offer go-getters new pathways to prosperity. But millions of people might wonder if they are any of those things. They might have serious doubts about how they might fare in a tough, competitive economic order. Allowing some to get rich might eventually make many, many more people less poor. Cubans are aware of the affluence that can be attained not only in the wealthiest industrialized economies, but even in nearby Colombia, the Dominican Republic, and Brazil as well. They are just as aware of the widespread poverty in all the above-mentioned societies, with poor people expected to work very hard with few guarantees of government support. Those same poor people can’t necessarily see a doctor or send their own children to the national university system. Cubans can, or operate on the assumption they can, even with their small earnings. Think of it. High rates of literacy. High levels of awareness, or at the very least an imagined understanding of the pay and opportunity of people in Canada, the United States, and Western Europe. Add to that the dissatisfaction of a people marching in place economically. They know change is coming, but wonder what it will mean for them. They want very much to do better. But they also understand that the risks involved in removing the state from the economy also hold the possibility of doing worse. It was a fascinating time to be in Cuba. Find more from the NewsHour’s trip to Cuba on our Global Health page.